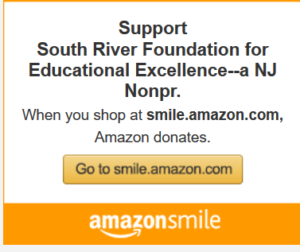 Please support the South River Foundation For Educational Excellence (SRFEE) in a $5 Below Fundraiser where 10% of the total sales from Saturday, May 21, 2016 thru Sunday, May 29, 2016 will be donated to the organization. You must print the attached flyer and bring it with you! Tell your family and friends! Come out and show your support! Additional flyers are available in the Main Office of each school.